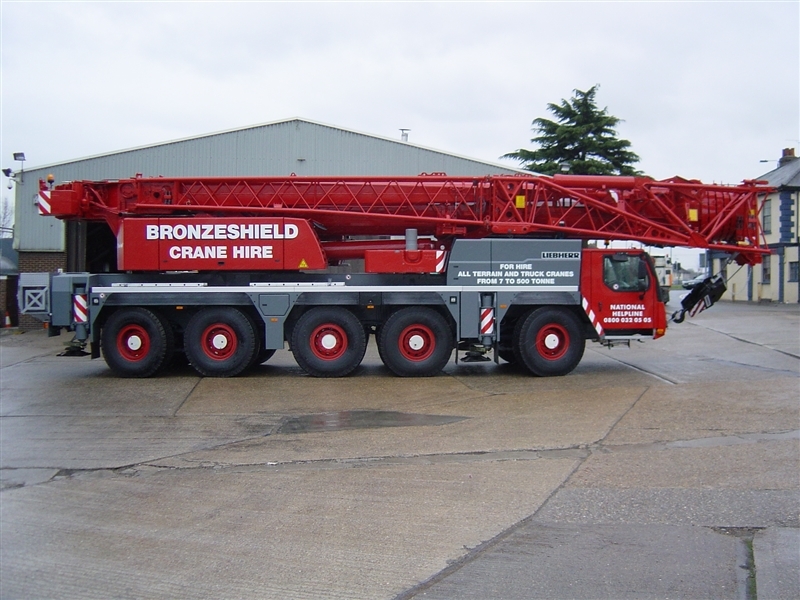 Bronzeshield Liebherr LTM1160-5.1, 160 tonne capacity heavy crane has a 62 m main boom with the additional option of a between 5.4 m and 36 m fly jib (with inserts) to gain more height if required and has full or intermediate outrigger capability. 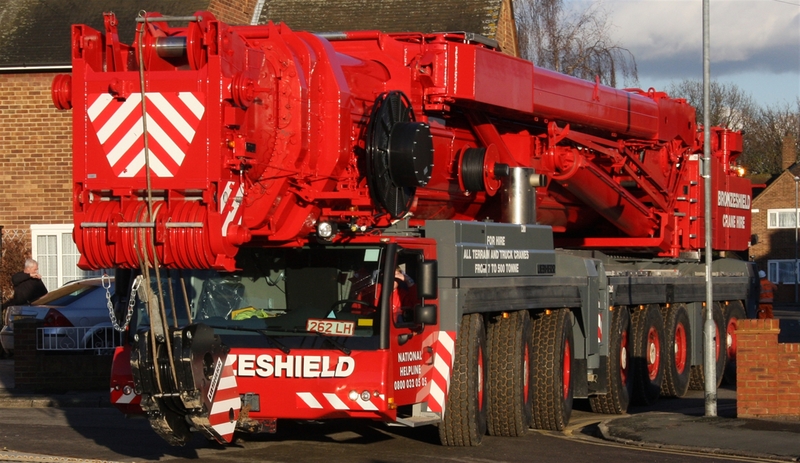 This heavy lift all terrain crane with 5 axles having multi wheel steering drive can handle most site conditions. 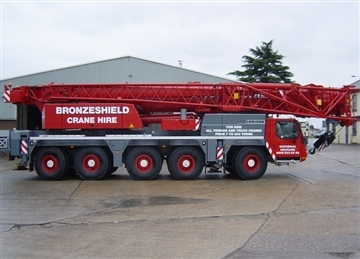 For more information click on PDF Download for the full spec.